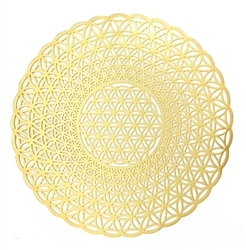 Beautiful 18K gold plated Spiral Flower of Life Sacred Geometry healing grid. Size:4" diameter by .01in thickness (thinner than a credit card). Comes with a new thinner stainless steel display stand. 18k gold plated, 4 inches wide by 4 inches high by .01 inches thick. 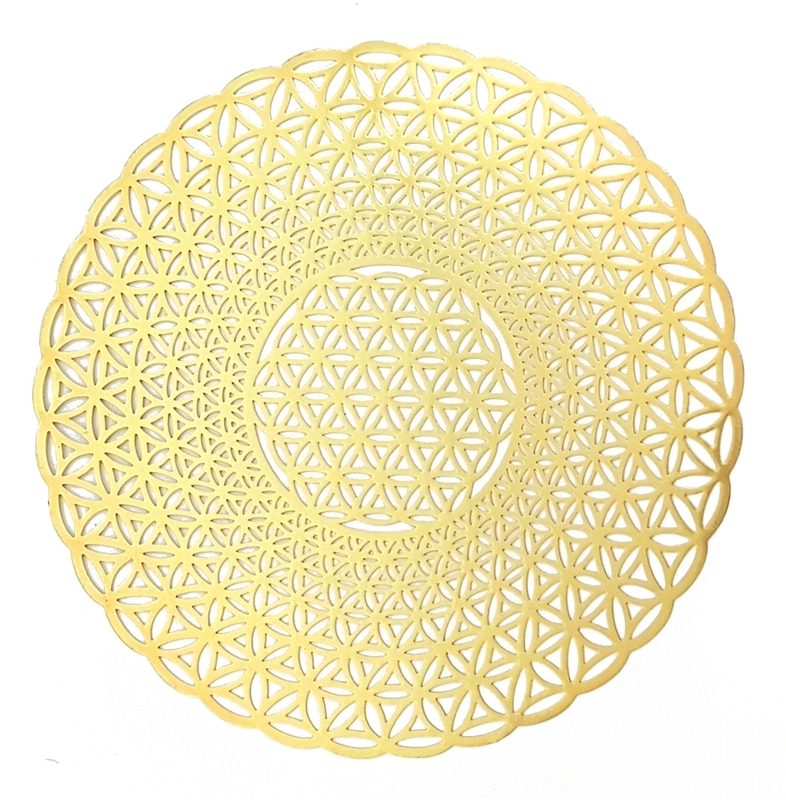 Symmetrical design, the pattern is on both sides. One greeting card with envelope and one rust-proof stainless steel display stand included.